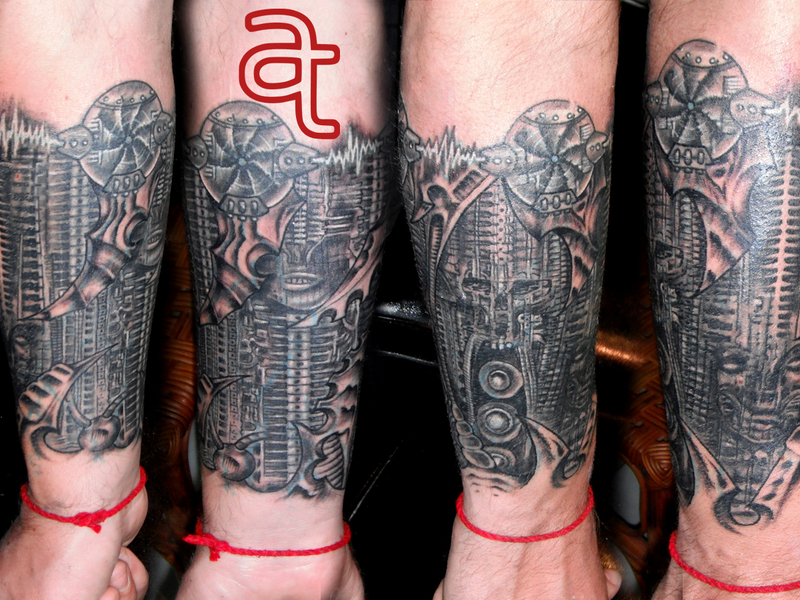 Biomechanical tattoos are an offspring of biomechanical art, a modern form of art, which depicts the human anatomy in the form of mechanical parts. For instance, the bones and joints in the body are represented in the form of machinery parts such as gears and pistons. This form of art came into recognition after a 1979 movie called “Alien”, which served as an inspiration for tattoo artists to create this innovative form of tattoo design called biomechanical tattoo. The conventional tattoo designs like flowers, birds, hearts, arrows, bows, feathers, anchors, dreamcatchers, maori, and stars are of course popular from a long time ago, but bio-mechanical tattoos are relatively a newer creation, with increasing popularity with the passage of time. The reason behind the popularity of these tattoos is that they are quite interesting in terms of design elements, which trace their roots into mechanics and robotics. What makes bio-mechanical tattoos even more interesting and eye catching is the creative use of colors and intricacy of design featured in these designs. In fact, these tattoos have so much in terms of variety that ever tattoo can be different from the other, with the right permutations and combinations being used to create something unique to the taste and preference of the bearer.